Visitors will be astounded at the beauty and culture they will come across in this mountainous country. 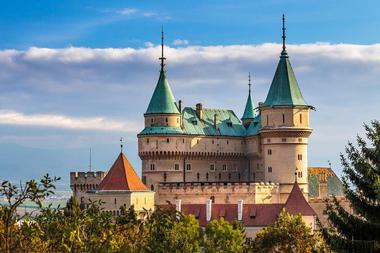 The mere number of castles in Slovakia alone is enough to make a honeymoon bloom with romance. Nature lovers can explore the country’s nine national parks, the Tatra mountain range, the refreshingly clear rivers, and the hundreds of caves complete with stalagmites hanging from above. Some of the must-see attractions include Chatam Sofer, Michael’s Gate, Old Town Hall, and Slovakia’s biggest church, St. Elisabeth Cathedral. 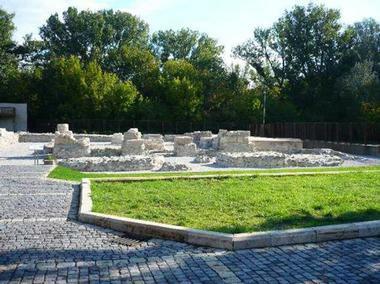 Ancient Gerulata Rusovce consists of the remains and findings of what was once part of a Roman military camp. The grounds date back to the 2nd to 4th centuries and visitors can now explore the museum that houses all of the items excavated at the site. The museum at the Ancient Gerulata Rosuvce site has many items from their archaeological research on display. Visitors will be able to see stone, ceramic, bronze, and iron artifacts as well as fragments of gravestones and buildings that have been unearthed. The museum brings the site’s history alive and tells visitors a story of Slovakia’s past that can’t be seen elsewhere. Straight out of a fairytale, Bojnice Castle is a castle built with Gothic, Romantic, and Renaissance architectural elements. The castle was originally built in the 12th century but has been reconstructed and renovated many times over the years. Bojnice Castle is one of the most popular castles in Slovakia and visitors will love the fantasy environment surrounding it and its grounds. The castle is also home to Bojnice Museum, which specializes in exhibits on architectural neo-styles and is part of the Slovak National Museum. There are many events and attractions hosted at Bojnice, including the International Festival of Ghosts and Spirits, the Summer Music Festival, and the popular Castle Fairytale attraction. The main castle of Slovakia’s capital, Bratislava Castle is one of the most dominant architectural buildings in the city. Visitors can spend the day exploring the fascinating castle and the stunning grounds that surround it. Other than the beauty of the castle’s architectural structure, visitors will also come across a museum housed in the castle dedicated to precious archaeological finds from the country; one of the most popular exhibits in the museum is the prehistoric statue, the Venus of Moravany. 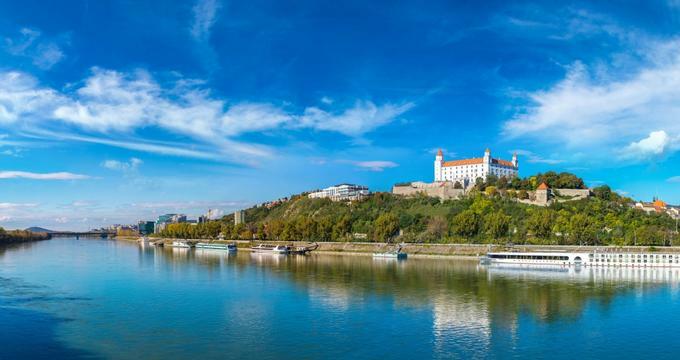 On a clear day, castle visitors will be able to stand on top of the hill upon which the castle is situated and see stunning views of Bratislava, Austria, and Hungary. 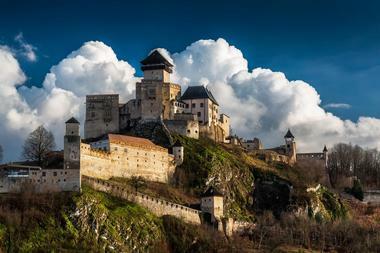 Budatin Castle was built in the 13th century as a guarding castle that soon turned into a royal fortress. The castle has a riveting history, which includes surviving the Turkish threat in the 17th century and getting damaged during the revolutions of 1848/1849. Visitors can now explore the structure, which has had various additions made in the Renaissance, Gothic, and baroque styles. One of the most popular aspects of the castle is its oldest: a massive four-story tower. Castle visitors will also be able to explore three exhibitions of the Povazie Museum, which are housed there. Chatam Sofer is a memorial named after the rabbi it was dedicated to. The rabbi, Rabbi Moshe Schreiber, was a leading personality of European Judaism in the 19th century who taught thousands of people on Orthodox Jewish perspectives. Built on the site of an old Jewish cemetery, the memorial/mausoleum now only houses the restored gravestones of Chatam Sofer and the 22 other graves that remained. 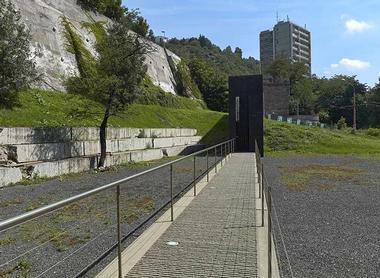 Visitors can explore the memorial/mausoleum, which was redesigned in 2002 in a contemporary architectural style that adheres to Jewish law, though visits must be booked in advance. The Church of St. Elisabeth, more popularly known as the Blue Church because of its exterior, is a Hungarian Secessionist Catholic church. 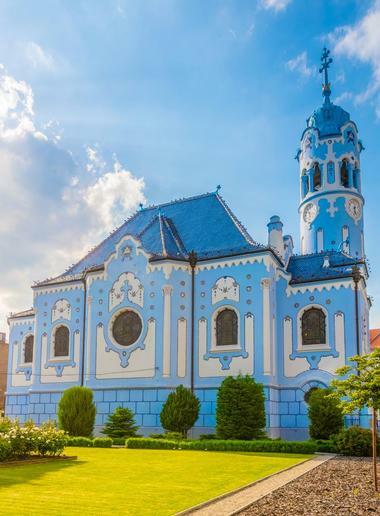 Visitors can explore the Blue Church, which stands out in the bluish hue of its facade, mosaics, majolicas, and blue-glazed roof. Unique architectural aspects of the one-nave church that shouldn’t be missed include the cylindrical church tower, the barrel vault, and the Romanesque double pillars, which can be see next to the main and side entrances. Within the church, the many altarpieces depict St. Elisabeth giving alms to the poor, among other scenes. 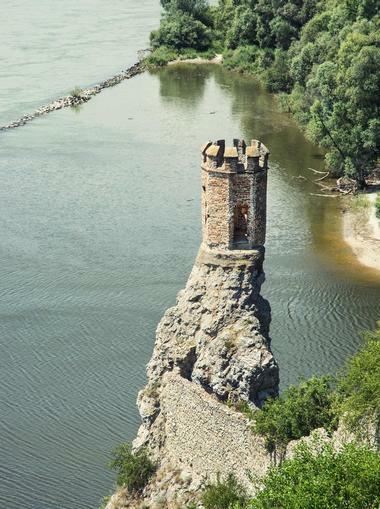 Devin Castle, which translates to “observation points” or “watchtowers, is the ruins of one of the last fortifications built in the 17th century. The cliff in which the remains lie was an excellent vantage point as people could watch over trade routes on the Danube and Morava Rivers, and archaeologists have found that people had been settled there going back to the neolithic. Visitors can explore the sprawling interior of the castle, which includes staircases, gardens, and open courtyards. One of the most popular aspects of the castle is a tiny watchtower called the Maiden Tower; the tower has many interesting legends, most of which include lovelorn women falling to their death. Krasna Horka Castle, which means “a beautiful mountain”, is one of the few fully preserved castles left for visitors to explore in Slovakia. 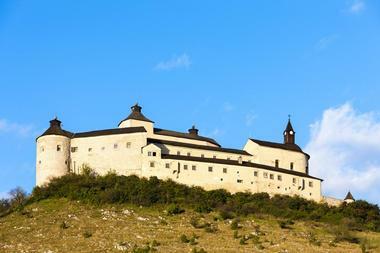 It is a National Cultural Monument of the Slovak Republic and has been mentioned in documents dating back to 1333. An extension of the Slovak National Museum is housed at the castle and visitors can see one of the largest collections of bronze cannons. There are stunning artifacts and exhibitions throughout the castle and its grounds; interior decor, priceless art, and 16th-century armor are just some of the things visitors can see at Krasna Horka. Definitely worth checking out, Man at Work – Cumil is a beautiful sculpture that can be seen in Bratislava’s old town. 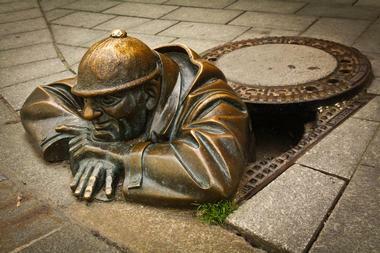 Designed by Slovakian artist Viktor Hulik, the sculpture depicts a sewer worker who is resting at the top of a manhole watching the people passing by. 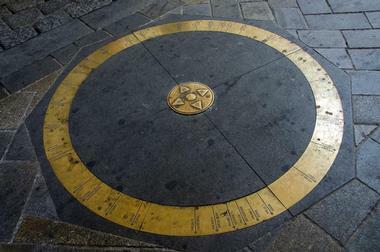 The sculpture was installed and opened to the public in 1997, and though the artist has said that the sculpture doesn’t symbolize anything and was added to revive tourism in the Old Town, many tales have formed since then. There are many other statues in the vicinity, including Paparazzi, Napoleon, and Schöner Náci. In medieval times, the town of Bratislava was surrounded by heavily fortified walls, which had only four gates through which people could enter and exit. Michael’s Gate, the smallest of the four, is the only city gate that remains and has been preserved since its construction in 1300. 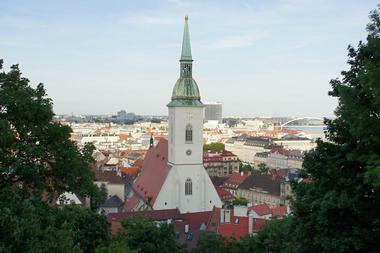 Visitors can head to the top of the tower and enjoy beautiful views of the surrounding old town. 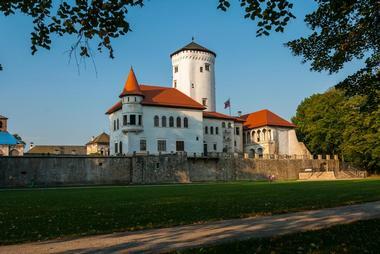 The Museum of Arms is currently housed in the tower; there, visitors can also learn about Bratislava’s fortifications in detail, from construction to the destruction in the 18th century. Under the gate, there are a number of restaurants and luxury shops, such as Swarovski and Christian Dior. The Museum of Arms can be found within Bratislava’s only remaining city gate of the original 13th-century fortifications, Michael’s Gate. In the museum, visitors will be introduced to the history of the town’s fortifications from construction to their destruction. Visitors will also be able to see military arms, tournament arms, and several types of bladed weapons. One of the museum’s exhibits is dedicated to the development of firearms and is an interesting way to learn more about the city’s history, while another one of the exhibits showcases the Czech and Slovak resistance movements in France, USA, Italy, and Russia from 1914 to 1918. 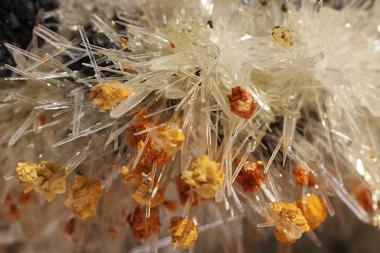 Discovered in 1954, Ochtinska Aragonite Cave is famed for its rare aragonite structures. This carbonate mineral is a crystal that naturally forms from calcium carbonate and other forms of the minerals calcite and vaterite. The cave is only 300 meters long, but is one of the most visited sites in Slovakia because of its exclusivity. Ochtinska is listed as a UNESCO World Heritage Site and rightly so as only three aragonite caves have been discovered in the world so far. Visitors can walk through the Milky Way Hall and see clusters and branches of white aragonite that resemble the Milky Way. Bratislava’s Old Town Hall is in Slovakia and comprises a range of buildings from the 13th century that surround the main square. One of the main features is the oldest city hall in Slovakia, which is also the oldest stone building still standing in Bratislava. 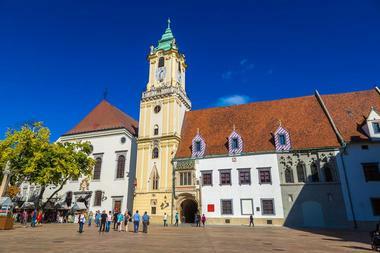 Old Town Hall is also home to the Bratislava City Museum, which is the oldest museum in Slovakia’s capital. In the museum, visitors will be able to get a better understanding of the city’s history; they can also see a unique exhibition on medieval torture devices that can’t be found anywhere else. 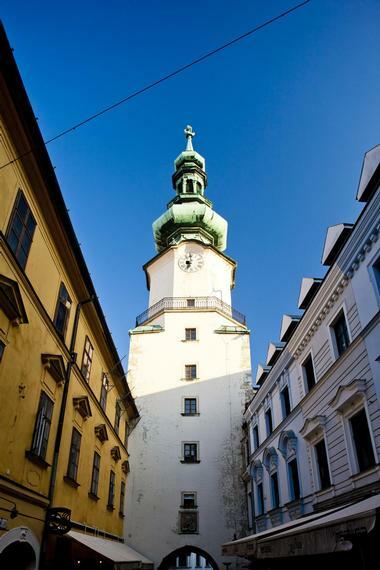 Visitors can head to the top of the tower in Old Town Hall and take some picturesque photographs of the surroundings. 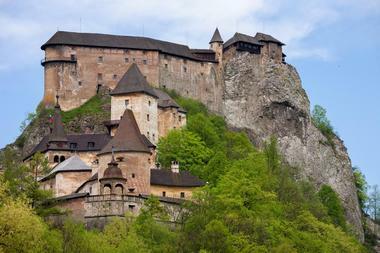 Situated high above the Orava River, Orava Castle is considered to be one of the most beautiful castles in the country. The castle was built in the 13th century, in what was then the Kingdom of Hungary, and has an extensive history of destruction and reconstruction. Now, visitors can explore the castle and its neo-Gothic and Renaissance architecture as well as the beautiful grounds that surround it. The Orava Museum, which was founded in 1868, is now housed at the castle and exhibits various artifacts, paintings, weapons, and archaeological collections. It is one of the oldest museums in Slovakia and visitors can explore rooms such as the Castle Chapel or the Knights’ Room, with all its period-style furnishings. Built for Archbishop Jozsef Batthyany from 1778 to 1781, the Primate’s Palace can be found in the Old Town of Bratislava. 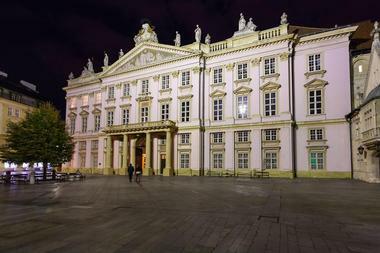 The neoclassical palace was the location of some of Slovakia’s most historic events, including the signing of the fourth Peace of Pressburg, which ended the War of the Third Coalition. Today, visitors can explore the palace, which now serves as the seat of the mayor of Bratislava. In addition to the stunning architecture and decor, the courtyard is one of the favored aspects of the palace. There, visitors can see a fountain of St. George, the legendary knight who fought a dragon in a struggle that is symbolically similar to the Catholic Church’s efforts to banish reformation of the city. 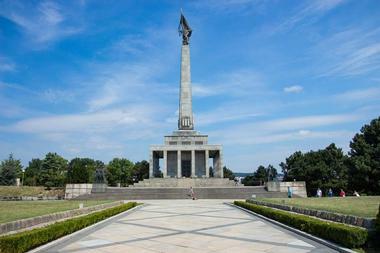 Unveiled in 1960, Slavin is a military cemetery and memorial monument that can be found in Slovakia’s capital, Bratislava. It was designed by famed Slovak architect, Jan Svetlik, to memorialize the Soviet Army soldiers who lost their lives during World War II. Visitors can see the graves of 6,845 soldiers as well as the impressive memorial that towers over them. The National Cultural Monument is nearly 40 meters high and sits atop a hall filled with statues, inscriptions, and a sarcophagus made of white marble. Surrounding Slavin, visitors will be able to see statues of famous Slovak artists as well. 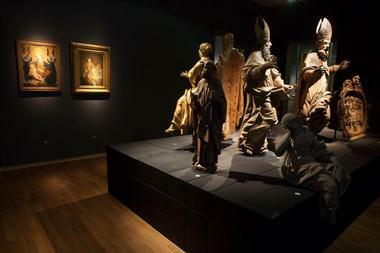 The Slovak National Gallery was established in 1949 and comprises a network of galleries throughout Slovakia. The gallery’s headquarters can be found in Bratislava, along with artifacts that can be found in Esterhazy Palace and the Water Barracks. 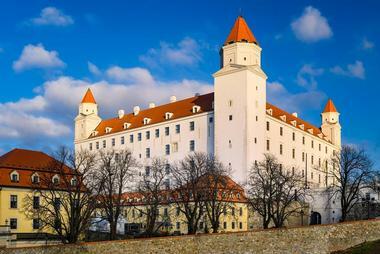 Galleries outside Bratislava are housed in Zvolen Castle, Strazky Mansion, Ruzomberok, and in Pezinok. The National Gallery’s collection varies from modern and contemporary art and photo media to old art such as baroque art, Gothic art, and icons. Artifacts in architecture and applied art include ceramics, glass items, jewelry, textiles, wood items, and poster and graphic design. The Slovak National Museum was established in 1961 and is one of the most important institutions, focusing on cultural education and scientific research on museology in the country. 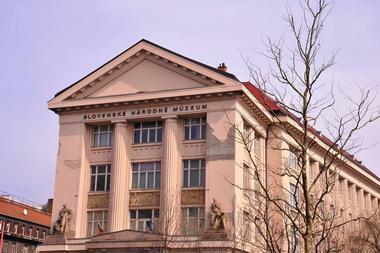 Headquartered in Bratislava, the Slovak National Museum comprises 18 specialized museums throughout Slovakia. In total, the National Museum has nearly four million artifacts in its collection. Visitors can explore the specialized museums and departments and view the collections in the Natural Science Museum, the Archaeological Museum, the Ethnographic Museum, the Museum of Slovak Village, the Museum of Roma Culture in Slovakia, the Museum of Puppet Culture and Toys, and various other locations. The Slovak Technical Museum was established in 1947 and is one of the country’s major technology museums, with branches throughout Slovakia. The main headquarters and exhibits can be found in Kosice’s Main Street in a historic building often called The Captain Palace, while a few of the other branches can be found in the Museum of Aviation, the Manor House in Budimir, and the smelter in Vlachovo. The museum’s collection focuses on the industrial and technological aspects of various industries such as artistic crafts, mining, chemistry, physics, electrical engineering, radiotelegraphy, and sound recording devices. 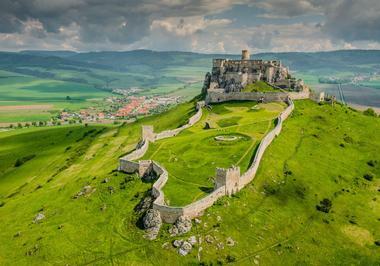 Spis Castle is one of the largest castle sites in all of Central Europe and was listed as a UNESCO World Heritage Site in 1993. The castle was built in the 12th century on the site of an earlier castle and was an administrative, political, cultural, and economic center of Szepes County in what was then the Kingdom of Hungary. People visiting the castle will be astounded by the castle ruins as well as the beauty of the mountains and land that surrounds it. Visitors today can go on various tours to fully explore the Romanesque and Gothic castle as well as its stunning archaeological aspects. St. Elisabeth Cathedral is Slovakia’s biggest church and one of the easternmost Gothic cathedrals in Europe. Records of its existence go back to 1230, while the architectural structure that visitors presently see was completed in 1508. 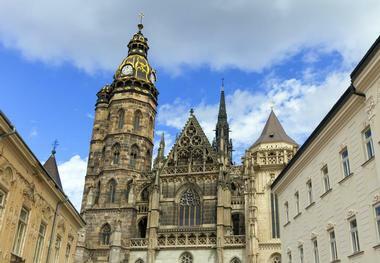 The cathedral is the main church of the Kosice Archdiocese and is filled with medieval works of stone art. The cathedral’s altar is one of the most remarkable monuments of medieval art in the country and was crafted between 1474 and 1477. Other aspects visitors can see include the sculpture of Calvary, which is one of the oldest articles of the cathedral’s inventory, a four-wooden Gothic polychromed sculpture, and the lantern of Matthias Corvinus, which dates back to the 15th century. One of the largest and oldest churches in Bratislava, St. Martin’s Cathedral is famed for being the coronation church of the Kingdom of Hungary for 267 years. Some who were crowned at the church include the Holy Roman Emperor Maximilian II, his wife Maria, Holy Roman Emperor Leopold II, and the President of the German Confederation, Ferdinand I. The church was once a part of the town’s defensive fortifications and now stands out in the Old Town’s skyline. The cathedral is constructed in a traditional crucifix shape and visitors will be able to see some striking aspects of the church, such as the towering, beautiful stained-glass window. Trencin Castle dates back to the Roman Empire and has a long and interesting history that includes being the seat of Hungarian aristocrat, Jakab Cseszneky, as well as the residence of Matthew III Csak, a Hungarian oligarch. Presently, visitors can see one of the oldest buildings in the region – a stone rotunda that was built during the Great Moravian period. Additionally, they can explore the museum housed at the castle; the Trencin Museum documents the history of the castle and the surrounding region and visitors can see artifacts such as pictures, artworks, weapons, historic furniture, and various archaeological findings. 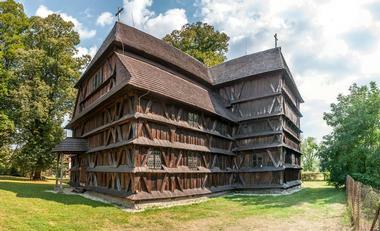 The Wooden Churches of the Slovak Carpathians comprises nine religious buildings constructed from wood. The structures, which are now a UNESCO World Heritage Site, date back to the 16th century and can be seen in eight different locations throughout Slovakia. These nine particular religious buildings include three Greek Catholic churches, two Roman Catholic churches, three Protestant churches, and a belfry. Visitors can go on tours to see the exciting details of these structures, which include unusual stone floors and rare wall frescoes of Adam and Eve as well as a ceiling painting that depicts a starry heaven.